With Teacher Appreciation and Mother’s Day in the same week, it’s been crazy busy, right? If you haven’t treated your child’s teacher yet or come up with something for Mom, you’re not alone! Today we have another fast and easy idea that works for both! This printable gift card holder is kind of silly and is sure to put a smile on the recipient’s face. 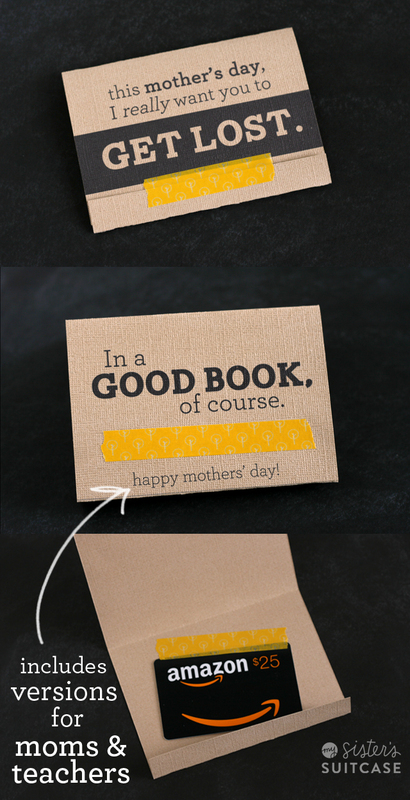 Print out your card holder, grab a gift card ( I love that they are all at grocery stores now) and attach it. I used my new washi tape to add a little color. 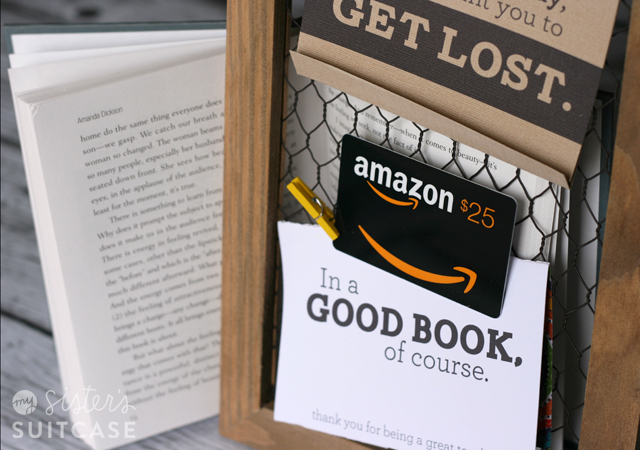 Since the theme is books…you could also use a gift card for Barnes & Noble, Kindle, etc. 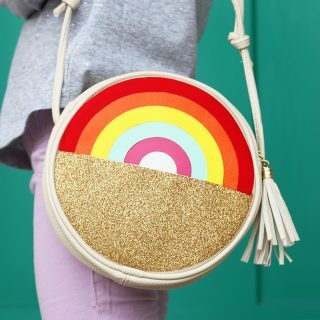 …and I love the little surprise and pop the pattern brings to the inside! Don’t forget about our other easy gifts for Moms and Teachers! The Vintage Button Bookmarks we shared yesterday would be great to add to the gift card! Enjoy spoiling those wonderful teachers and Moms! Giveaway ends Sunday, May 12th. « DIY “Vintage” Button Bookmarks – 5 Minute Project! I like the mason jar tags for Dad’s post! the printable are great! thanks! My sons teacher LOVES to read! This will be perfect to add to her end of the year gift! Oh my gosh! How do I pick just one???? Honestly, I was just looking for something for my son’s godmother who lives many miles away from us. This “getting lost in a book” printable is absolutely perfect! And the best thing is I can get it printed and in the mail today! Thanks so much for your blog and especially your FB posts (where I “See” you most often)! This is great! I love this idea! 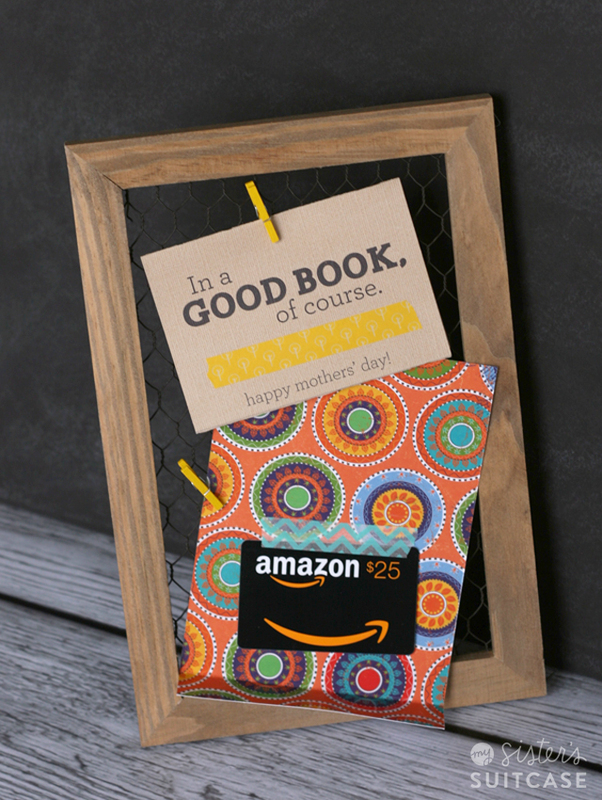 We actually got my mother-in-law an Amazon gift card for Mother’s Day so I’m especially happy for this gift card holder printable! Woo hoo! Always looking for great gift ideas. Thanks! I love vintage jewelry. I think think the vintage button bookmark is just the sweetest! oops…apparently this is under my husband’s name..he doesn’t care for vintage jewelry haha..but I do! Baby Gift + Printable Tags for me since I have a friend who is pregnant. I’m actually loving this, it would be perfect for my mom, as anytime she reads she gets lost. I love this idea! My mom is an avid reader so I am totally going to do this! Thanks for savings Mother’s Day! Love the “Get Lost” cards! Catchy then sweet, perfect! My favorite was the gift tag/mason jar for dad. My daughter and I baked his favorite cookies, put them in the mason jar, decorated it with the printables and ribbon, and snuck it into his lunch box. He loved it! 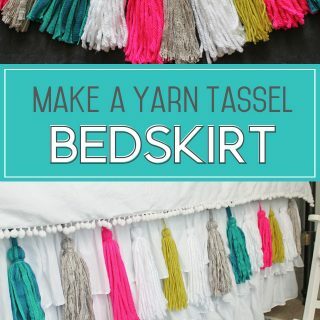 Its hard to pick a favorite project out of all your fabulous ideas! I’ve actually tried several of them… the most recent one was the teacher’s tag with the reusable cups. They turned out super cute! 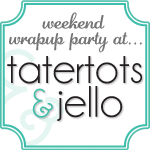 Love the printable – so cute! I’d love to give this to my son’s teacher before the end of school! If you know me at all, you know that this “get lost in a book” one is SO me! I love it! 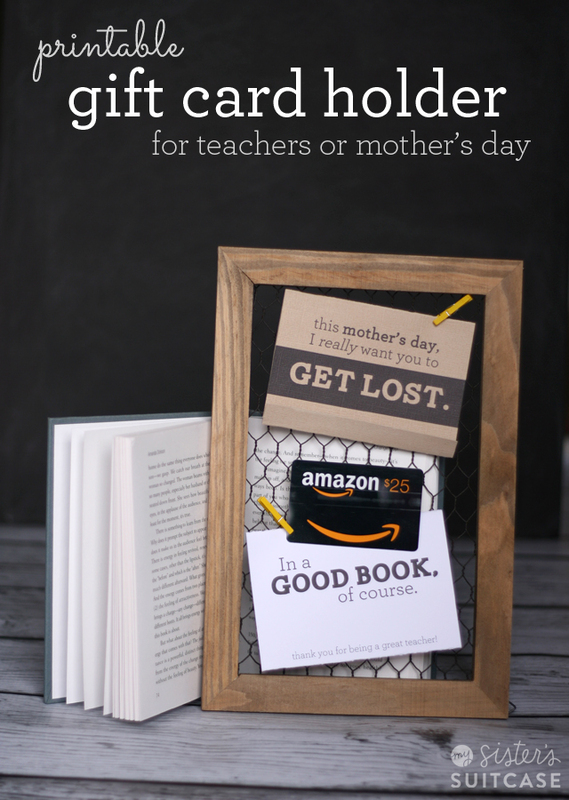 I love the printable gift card-I plan to print one for a friend, and I hope that one day I can “get lost” as well! As a new mom, it’s hard to take the time to shop for books or justify the money when there are so many new expenses. Gift cards take away the guilt! Thank you! They are all absolutely wonderful!! The bookmarks were super cute & the gift that was personal and would make the individual teacher look forward to using/having it. Love, Love this idea, so cute!! I love the “Put a little spring in your step” bucket of candy. So fun and I love chocolate! the book one is perfect, and those button bookmarks are great, too. I’m a teacher and could use this for sooo much for my classroom!! Great idea!! I love this idea as well as the cute ideas for the ball mason jars too! 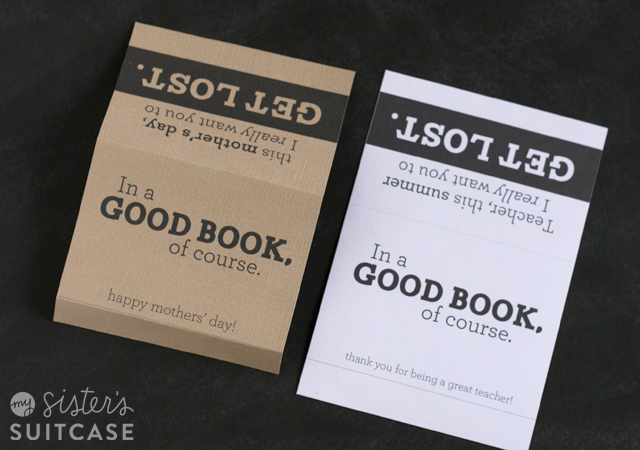 I love the gift card holders and all your printables = all your projects are great. I like the “few of my favorite things” ideas. I’ve used that theme for a baby shower! Such a cute idea! Thank you for the giveaway! I love the Spring fun gift mug and the bookmarks. Thanks for the great giveaway!! Love that idea. Would love to win for my grandsons teacher. Thank you so much. i absolutely love the printables ! the patterned paper “pop” would be such a great surprise. I really love the printed Mason jars! I love the vintage button bookmark. Thanks for the cute cards. I love your printables! As a teacher gift cards are great! The holders are very cute. I love today’s gift idea. I’d love to see the recipient’s face when they read the “get lost” sentiment. What a great gift idea!! I know alot of people who would just love this!! Such a cute gift idea. I especially loved your spring gift idea. You can never go wrong with a gift card and your presentations are terrific. Like the frame very much. I love homemade items or printables as gift ideas. simple, cheap, creative. I really liked the Bloom and Grow plant gift tags – perfect for my mom who helped me do the same! I love the “favorite baby things” basket! I love the jeweled bookmarks and the outdoor lanterns. I love all the different gift card patterns and the jeweled bookmarks. My favorite idea is the mason jar printables. So many uses! My favorite was by far the “antique” button book marks! They are simple and easy, but SUPER cute! I think the CakeVase would make the best gift. I do love FREE printables! And this one ROCKS! I like the little sand bucket with the nail items and polish in it. Too cute! I really got a kick out of the Mason Jar with the Pistachio Nuts in it. Those are my husband’s favorite nuts. I may have to copy that idea for Father’s Day! I love all your ideas but the Sbowflake throw is my favorite. Thank you for this giveaway. So many great ideas! Gotta say, the “Get Lost” just had me hooting! Too perfect! I like the bubble valentines. Cute! I don’t remember any of the other gift ideas but I do love this Amazon gift card idea! Too cute! This card holder is lovely and funny, so this is my favourite. I love this gift card holder! Makes a perfect teachers gift! This gift card holder is my favorite. I’m not one for puns and such, but this would make me laugh, so I think it’s worth giving. I also appreciate it being black and white since I have no color printer. Thanks for all these ideas! This is a busy time of year, and it’s easy to miss something important. I love the DIY Sharpie Mug Valentine Gift! I live the mason jar gift tags!!! gift card holder is perfect! How cute is this? I love this gift idea! Oh my goodness…I love the phrase you put up there. Too cute! I love the gift card holder for teachers!!!! such a great idea! Love books and Love this idea! Thanks for the Inspiration! I love the vintage bookmarks! I have loved all your ideas in the past! If I have to pick just one as a favorite, it is the Secret Message In A Bottle Valentine! So cute! I’m in LOVE with the vintage button bookmarks. I loved the favorite baby products gift basket the best!! I think that would be really helpful for a new mom! I like the DIY Sharpie Mug Valentine Gift. I love that it can be used for almost any holiday. Thank you! I like the DIY Sharpie Mug Valentine Gift. I think it’s a really good idea for a small gift for someone you appreciate. I love the Kiss Me I’m Irish gift! Love those gorgeous blue mason jars and the printables you provided! Love this! Thank you for sharing with us! I love the giftcard holder. 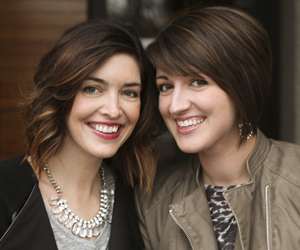 We’d love to be included in your roundup! Thanks so much! 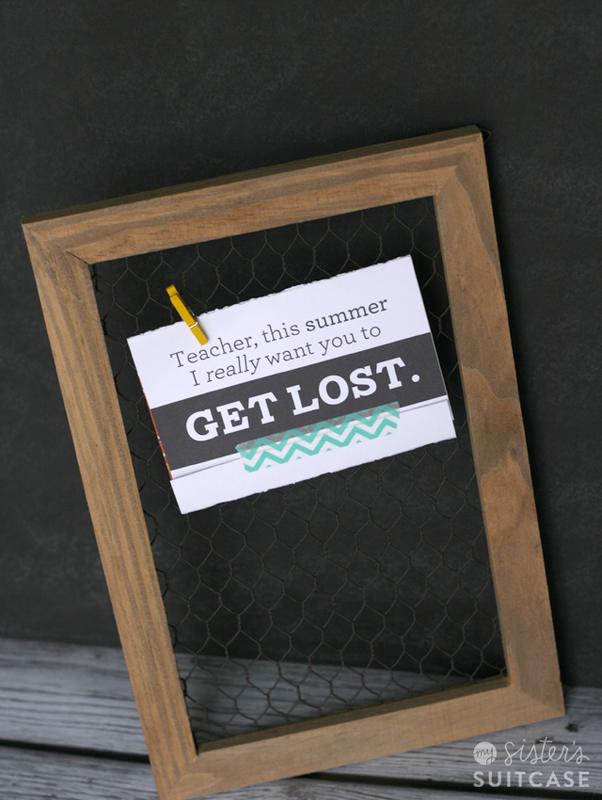 What size of frame did you use for the get lost in a book for the teacher?